Did you know that over 90 percent of homeowners carry a homeowner’s insurance policy, but less than 50 percent of renters have renters insurance? Renters insurance is an amazing tool for your tenants because it gives them protection for their personal belongings against liability charges, against medical charges, and it helps them cover the cost of any property damage that actually happens to the property itself. Most renters don’t think about the importance of renters insurance because they assume that your landlord policy or the property management insurance policy is going to cover any circumstances where insurance might be necessary, but in fact, that’s not the case. In the following video we’re going to look at the importance of renters insurance and how you as a property manager or landlord can help your renters understand the value of renters insurance. We’ll also look at how you can make renters insurance a requirement of the lease so your property is protected and your renters are protected. When you think of renters insurance, what exactly do you think of that it covers? Sure, it might cover when there’s a fire at the property or there’s some sort of break in and things get stolen. So all of that kind of makes sense as a renter, not doing something bad and there should be an insurance policy that covers it. But what about tenant negligence? That’s actually one of my favorite things that renter’s insurance helps renters with. I want to tell you a story about my wonderful, sweet father where his renter’s insurance policy really, really helped him out. A few years ago, my dad was living in a brand new, luxury apartment in the Pacific Northwest. One day, he was doing dishes, and he is the type of person that when he does his dishes, he puts the stopper in, he lets the water fill up, then he comes back and washes the dishes. However, while that water was filling up one time, he got a phone call, might have been from me. But he got a phone call. It distracted him. He walked away from that water that was filling up in his kitchen sink and it started to overflow. It flooded his kitchen and it flooded all over his apartment and flooded down into the two neighbors down below him. It completely damaged his floor, completely damaged the ceiling of the property below him. All of his stuff that touched the water inside his property was damaged and all of the tenants belongings below him was damaged. It was not just a couple things getting damaged right here, but it was very expensive structural damage to this brand new apartment and it was property damage to his stuff and other tenants’ items in the property. And how do you think he covered the cost of that thousand, thousand, thousand, thousand dollar bill? Well, it was his renter’s insurance policy. He was paying about $20 a month for his renters insurance and they covered the bill for all of that structural damage and for all of his property that was damaged in that accident. I really like talking about that story because I think it’s a great example of how something that was totally his fault, and he even told the insurance company, “oops, I’m the one who left the water running” was covered because most renters insurance policies cover tenant negligence. Why don’t more renters have renters insurance? Insurance is really common. We have it as homeowners, we have it as car drivers, we have it to cover our medical expenses. But why do renters think that they don’t need an insurance policy for their dwelling, for where they live? It turns out, some renters think their landlord’s insurance or their property manager’s insurance is going to cover the cost of any damage that happens to their homes, but that’s just not the case. 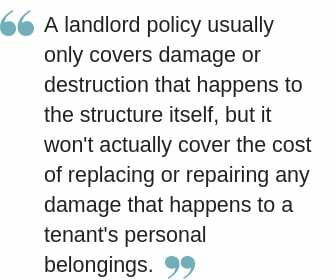 A landlord policy usually only covers damage or destruction that happens to the structure itself, but it won’t actually cover the cost of replacing or repairing any damage that happens to a tenant’s personal belongings. That’s where a renters insurance policy comes in. Not only will renters insurance cover the cost of replacing damaged or stolen tenant’s personal possessions, but it can also cover the cost of any property damage that happens to the property itself. Ultimately it’s in a landlord’s best interests to encourage their renters to get renters insurance so they aren’t left with a bill to cover the costs of property damage that’s caused by a tenant that a tenant can’t afford to pay. A lot of renters or just people in general aren’t going to be able to cover that cost of a completely flooded house or a completely damaged property from like a candle that they left burning. So that’s where insurance really comes into play. Another reason that renters don’t have renters insurance is because they make the assumption that it’s going to be expensive. I mean, if you think about things like car insurance or medical insurance where there are hundreds of dollars due each month for your premium, it kinda makes sense that a renter might think that that’s going to be another couple hundred dollar bill that they’re going to have to pay just for renters insurance. But in actuality, renters insurance is one of the most affordable protections that a renter can have. Policies cost anywhere from $8 to $30 a month depending on what kind of plan and coverage that you want and it is super easy to find affordable options right now for renters. 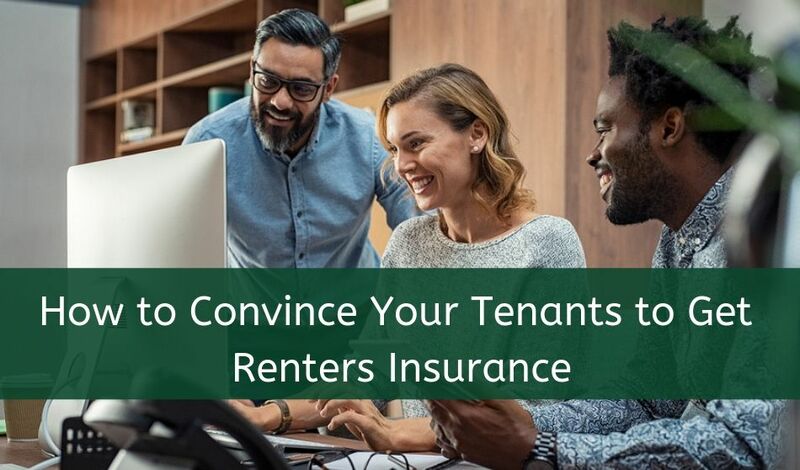 Since it’s in our best entrance as a property manager or landlord, one of the things that we can do is remind our renters and talk to them about the reasons they can need and want to use renter’s insurance. So this is what you can do as a property manager or landlord is remind your tenants of this value of getting a protection plan for a renters insurance policy. If there’s a break in or if there’s a fire. If a pipe bursts. Think about freezing temperatures or old plumbing; water damage that happens from broken pipes or broken plumbing can be devastating. If the home gets vandalized. For example, if someone’s walking down the street and throws a rock through the window and that rock also hits the TV, renter’s insurance can help cover the cost of replacing the window and the TV for your tenant. If your renter forgets to blow out a candle. Most renters insurance policies cover fire damage, so even if there isn’t much structural damage, smoke can really damage personal belongings and a renter’s insurance policy can help cover the replacement of all those personal items even if it was a negligent tenant who forgot to blow out a candle. If your car gets broken into and something gets stolen, it’s actually renters insurance, not your car insurance, that will cover the cost of replacing any items in your car that get stolen. If your home becomes unlivable. We’ve heard a lot about these devastating fires in California and all over the country that completely displaced a lot of tenants out of their homes and it’s typically a renters insurance policy that’s going to help a tenant find new housing. Not only is it important for a property manager or landlord to stress the value of renters insurance to their tenants, but they can actually require that their tenants get renter’s insurance policy as a condition for living on the property. 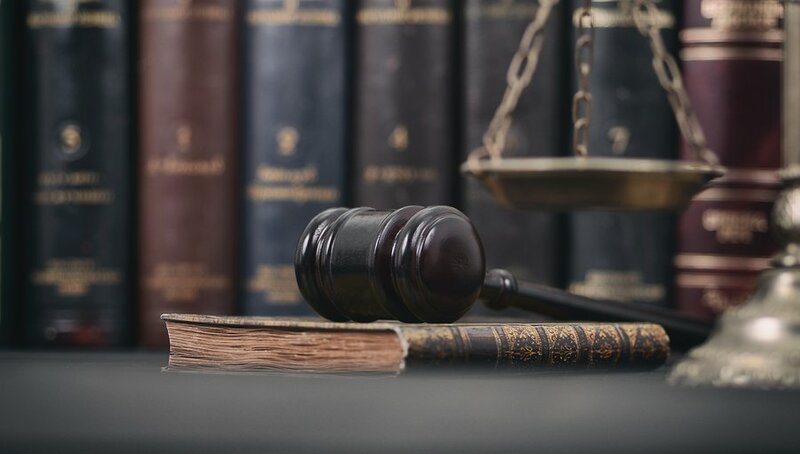 It is legal for property managers and landlords to make a renter’s insurance requirement in the lease agreement. 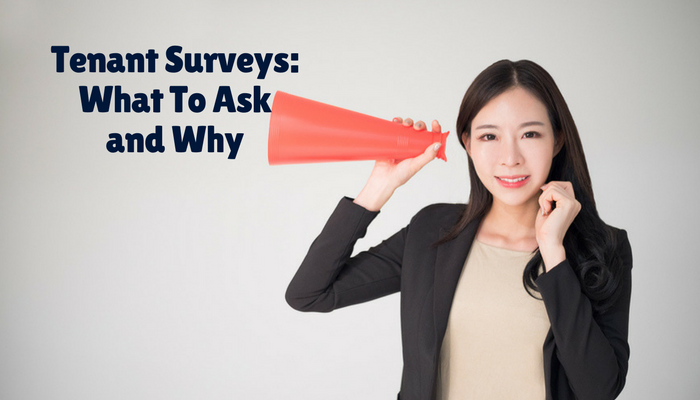 You will need to track compliance and make sure that they actually have an active policy and that it’s up to date. Property managers and landlords can track compliance with renters insurance requirements through their property management software. There’s usually really simple ways for you to use your property management software to upload your tenants renters insurance information and make sure it’s up to date and current. Property management software will also give you options to allow renters to purchase a renters insurance policy directly from your software. Renters insurance requirements in the lease is the best way to make sure that your property is protected, that renters’ personal belongings are protected, and that you have completed one more step towards stress free rental management. Having the right insurance and making sure that your tenants have the right insurance is one of the things you can do as a property manager or landlord to make sure that you have good rental management policies. 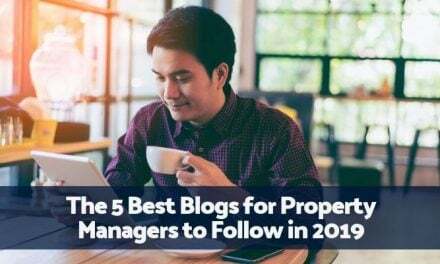 Having good policies in place to protect your property, your investments, your business, and your tenants is one of the many ways that you can be successful in rental management. For more tips for successful rental management and videos for landlords, property managers, renters and investors, check out our YouTube channel at youtube.com/rentecdirect. Very great points. So many unknown benefits of renters insurance policy have updated in the article.